Counting Stars was written by Ryan Tedder, the lead singer of the band OneRepublic. 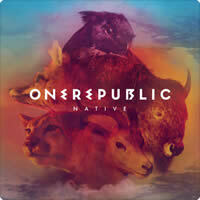 The song was released on the 14th June, 2013 from the album Native. Beginners: If you are playing with the video, you will need to place capo on 4th fret and play the following chords. Level Of Ease: Easy - beginners will find it easier in Am which requires a capo on the 4th fret if playing with the video. The capo version of chord charts in Am can be found directly underneath the original version. The whole song is basically a repeat of 4 chords - C#m, E, B, A.
Tempo: Intro - 108 bpm / 122 beats per minute once the drums come in at the start of Verse 1. N.C. represents No Chord. This occurs in several places throughout the song where there are only voices without instrument accompaniment. Don't forget to use the Free Music Service above for all key transpositions. 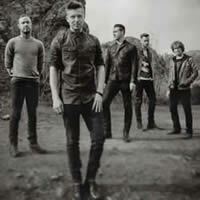 ONE REPUBLIC chords and lyrics are property and copyright of their owners. "Counting Stars" chords and lyrics are provided for educational purposes and personal use only.